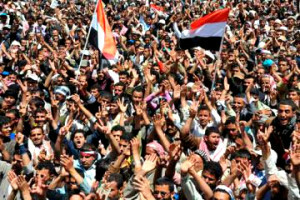 The third anniversary of the revolution was celebrated in Yemen recently, and public demonstrations were held in the capital city of Sana’a on this occasion. Participants of the celebration recalled the events of 2011, when a civil war began in the country after mass protests, and government troops began to carry out air strikes on opposition camps. In turn, the Islamic militants seized whole towns and villages. According to official data, 2,000 people were killed, and more than 20,000 were injured in the clashes. As we know, it ended in 2012 with the resignation of President Ali Abdullah Saleh. Nevertheless, Yemen still is in a fever even after that, although the new authorities sometimes can achieve temporary success. For example, the Shiite Houthis rebels and Sunni tribes signed an agreement on ceasefire in northern Yemen. According to the Arab ‘Al Arabiya’ TV channel, an agreement was reached after more than 80 people were killed and dozens injured in armed clashes just in two days last week. All possible types of weapons, including heavy machine guns and artillery, were used during the clashes. The conflict between Houthis and Yemen’s influential Hashid tribal confederation started in the northern province of Amran on January 5, when the Shiite rebels tried again to seize the strongpoint of the tribe headed by Sheikh Sadiq Hashid al-Ahmar. In addition, supporters of the self-proclaimed Imam Ali Hussein al-Howsi, who raised an anti-government rebellion in May 2004, blocked the town of Damadzh and kept firing at it for several weeks. They demanded that the Salafis, who settled in this place about 35 years ago, expel from the town several thousand foreigners, being trained in the religious center of the Dar al-Hadith there. According to Houthis, the foreigners were not engaged in theology, but were mercenaries. According to media reports, more than 50 people were killed at that time. Due to the political crisis, the authorities of Yemen currently are not able to ensure the safety of citizens of the republic. Besides tribal clashes, foreign nationals are often kidnapped in the country. The capture of foreigners is considered as the best means of “dialogue” with the government in solving various problems. Kidnappings are often committed by natives of one of the tribes, seeking to release their relatives sitting in prison. Recently, more than 200 citizens of other countries have been kidnapped in the country as well. In addition, Al-Qaeda militants have been periodically carrying out large terrorist attacks in the south and south-east of Yemen for several years. Their targets often are officers of the security forces and police. Fifteen soldiers and a police officer were killed just in one week as a result of their attacks. In turn, 29 militants of the terrorist group Al-Qaeda, who were arrested by security forces in Yemen, were transferred to the authorities of Saudi Arabia, where they all were included on the list of highly dangerous terrorists. The report on the extradition appeared on February 11 on the website of the Ministry of Defense of Yemen. The representative of the Interior Ministry Major General Mansour al-Turki refused to comment on this information, saying that the Interior Ministry planned to make an official statement, and saying that it would do so after receiving information from their Saudi counterparts. At the same time, an anonymous Arab diplomat said that the extradition of militants was held in stages, being completed recently. “Both countries are making every effort to ensure the security of Yemen, primarily in the border areas,” he said. We should note that the Yemeni branch of the terrorist group “Al-Qaeda of the Arabian Peninsula” is considered the most radical sect. The worldview of Islamic extremists in such countries as Syria and Egypt developed under its influence. At the same time, the authorities are making great efforts to unite the country. For example, Yemeni President Abd Rabbuh Mansur Hadi has ratified an agreement on the change of the territorial structure of the country. The agreement, approved by the majority of the conflicting parties, is aimed at reducing internal political tensions. In the future, Yemen will become a federal state consisting of six districts, four of which are located in the north, and two in the south. The country’s capital Sana’a will not be a part of any of them; it will be a federal city, the neutral status of which will be fixed in the constitution. The supporters of the agreement hope that this will end the long-lasting armed confrontation. The opponents, most of whom are southerners, say that the north will retain hegemony, and demand reducing the number of federal districts by two. We should recall that there were two states in 1967-90 in the present territory of Yemen – the Republic of Yemen in the north and the Democratic Republic of Yemen in the south. Southerners considered the unification of the country as an occupation, and this was the beginning of the separatist movement. Russian Foreign Ministry stressed the importance of the progress made during the National Forum of Yemen. As it was noted in the Foreign Ministry’s statement on this issue, the final meeting of the Conference of National Dialogue was held in the Republic of Yemen. Delegates from various political parties and movements, NGOs, women’s and youth associations approved collective resolutions on the most important socio-economic and political problems of Yemeni society. It was agreed that Yemen must be a secular, modern democracy, and the equality and rights of its people would be guaranteed by the new federal state system. ‘The latter aspect is particularly important with regard to the need to find a consensus solution about the problems of the south of the country,” said the Foreign Ministry. “We should note the importance of the progress made during the National Forum of Yemen. In accordance with the initiative of the GCC and the UN Security Council resolutions No. 2014 and No. 2051, its participants managed to lay the foundation for further stabilization and development of the Republic of Yemen,” reads the statement. 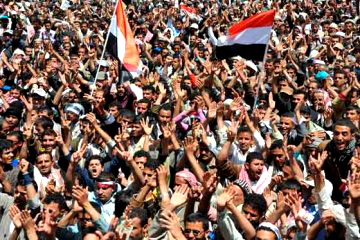 The Russian Foreign Ministry also expressed the hope that a speedy implementation of the decisions of the conference would pave the way towards a practical resolution of political, economic and social problems of Yemen, the implementation of the just desires and aspirations of the Yemeni people for a normal life, and improvement of socio-economic welfare of the country. “Russia will continue to support the promotion of Yemen on the path of reform and change both in the bilateral format and in collaboration with ten countries guaranteeing the implementation of the inter-Yemen agreements,” emphasized the Russian Foreign Ministry. These are not just words; they will be followed by real actions. Humanitarian aid weighing 30 tons was delivered to Sana’a by a special flight of the Ministry of Emergency Situations of Russia on February 19. According to the press service of the Foreign Ministry, it included mobile power plants, wheat flour, rice, sugar and canned goods. According to the information, the aid is intended to help the neediest part of the population – refugees and internally displaced people affected by local armed conflicts. The humanitarian operation was carried out in close coordination with the authorities of Yemen within the framework of Russia’s policy to assist Yemen in overcoming acute social and economic problems, and this was gratefully received by the Yemeni side “as timely and relevant assistance”. A statement of the Foreign Ministry stated humanitarian assistance from Russia to friendly Yemen would continue in order to restore peace and stability in this country. Konstantin Orlov, political observer, exclusively for the online magazine “New Eastern Outlook”.